Skinception Microderm Facial Exfoliator for sale. Buy Skinception Microderm Facial Exfoliator in Malaysia. With a Crisp Orange Scent! We weren't going to offer Skinception™ Microderm Facial Exfoliator as a stand alone product. 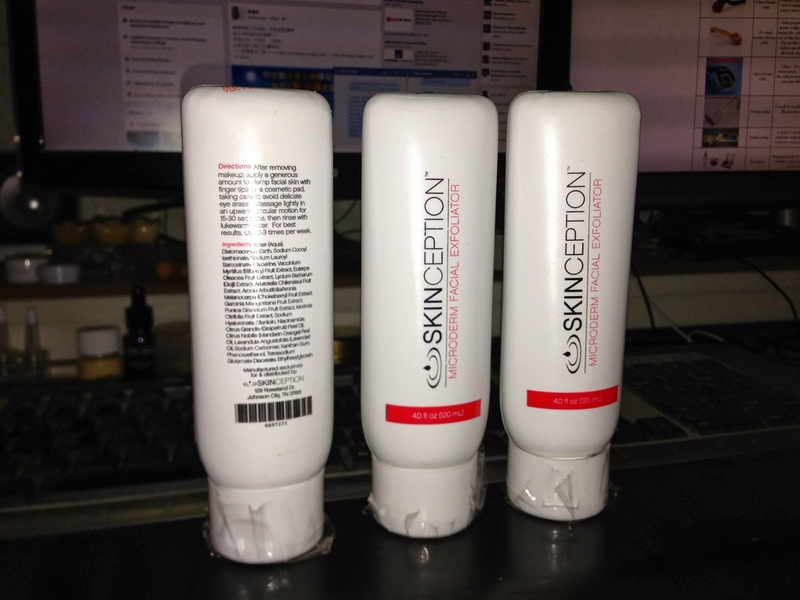 Originally it was available only through purchase of select Skinception™ skin care products. But Skinception™ customers spoke up and made it abundantly clear that they wanted to buy Skinception™ Microderm Facial Exfoliator for the following reason: It was the best exfoliator they'd ever used. Vibrant Complexion and a Blemish-Free Appearance. - bright, healthy facial skin. - fewer dark spots & blemishes. - better penetration of other skin products. We think you'll agree that Skinception™ Microderm Facial Exfoliator is an upgrade from any exfoliator found at the local pharmacy... And less irritative than a chemical peel! New Skin For Your Face. If you want to look young, you need to exfoliate. Doing so removes the dead skin cells that build up on the outermost layer of your facial skin that clog pores and contribute to dark spots and scaling. ...Which causes dull skin and scaling and a visibly older appearance! When you exfoliate, you're encouraging your body to shed those dead skin cells and replace them with new, healthy skin on a regular basis. So even though you might be moving on in the life experience department, your skin remains young and healthy, with ongoing regeneration, for a vibrant and youthful face! Skinception™ Microderm Facial Exfoliator is formulated with natural exfoliants and fruit enzymes & extracts that gently encourage healthy exfoliation. Microderm™ Facial Exfoliator: No Scrubbing, No Peels. You don't have to scrub your face til it's red, nor do you need to use one of those expensive chemical peels that can irritate your skin. Skinception™ Microderm Facial Exfoliator makes it both easy and convenient to regenerate your facial skin and enjoy a youthful appearance. Just massage it on to your clean, damp face, with your fingertips or a cosmetic pad, in an upward, circular motion. Leave it on for 15-20 seconds and rinse it off with lukewarm water. Do this 2-3 times a week. Then sit back and enjoy your amazing complexion, with better moisture retention, less dry skin, even less acne! Skinception Microderm Facial Exfoliator. All Items are new set, and original imported from United State.